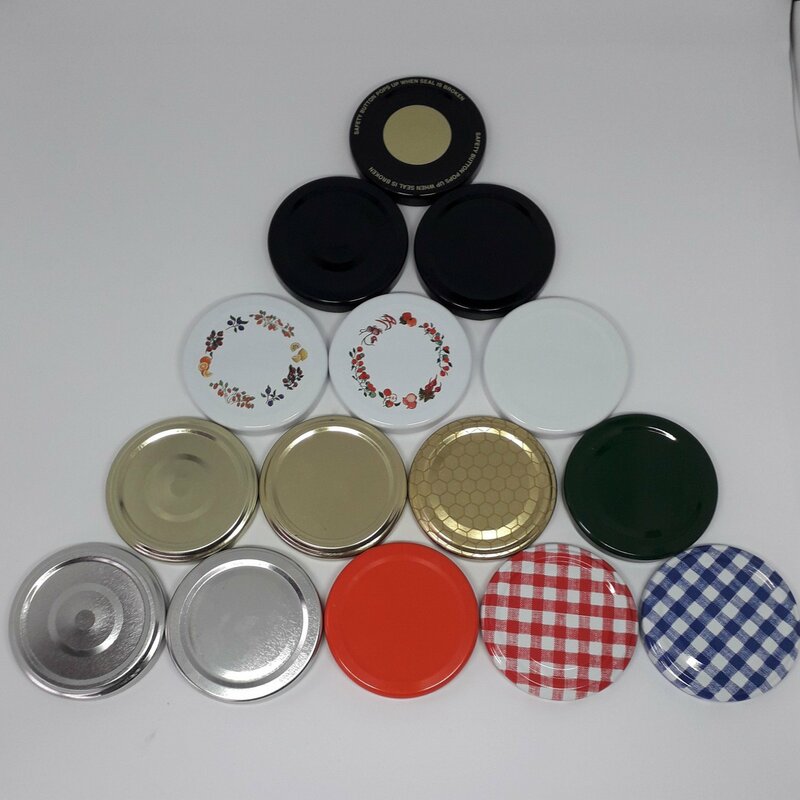 Our Jam Jar lids are available in a choice of colours and sizes. Our metal twist off lids are coated inside with a rubber integral seal making them acid and vinegar proof. They are suitable for jams, honey, chutneys, vinegars and pickles. Our trade pack of 1,350 (approx) x 63mm Jam Jar Lids are available in variety of colours. Our Button Lids are only for use with hot produce.